We at PerfectCrawl are the storytellers of the PPC Advertising world. Whether we're designing your next Google Adwords management, creating punchy copy for Google AdWords or building stories around your brand, we stand above other online marketing and advertising companies through our flair for advancement and passion for top quality services. We crunch the numbers, but trust in the power of utilizing creativeness to improve your organization. So as the best PPC services company we make sure that you will be charged very reasonably and simultaneously your ad position will also be in the first three positions on Google. Moreover, we have been granted as the best company of Pay Per Click services. The PPC - Pay Per Click management is just that allows you to increase your success rate in the market. PPC management is one of the most cost-effective and focused forms of online. These are ads for your site that appear through some of the largest advertising platforms including Google Adwords. Here's What We Believe In? Our PPC Advertising management offer you the full picture right from the start and keep you modified as the campaign continues. We don't cut sides and never settle. We strive to always deliver the best work and the word compromise is not in our vocabulary when it comes to great quality. Online marketing is an ongoing process that needs constant communication and assistance. That's why we're always there for you and are quick to respond via email, chat or phone. We believe in discovering new opportunities and challenging viewpoints that might enhance your organization profile, while we go beyond the simple requirements. We want to offer affordable services that are tailored to your organization needs. Thus, we offer various flexible payment options and packages. 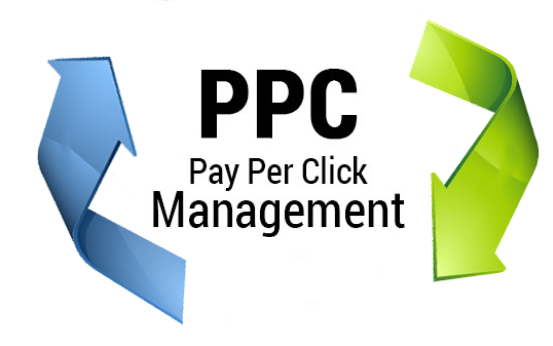 PPC: Pay Per Click management is the most cost-effective form of any advertising route for many businesses. Paid search allows you to quickly contend at the top of the search engines for the most useful keywords your customers are searching for. PerfectCrawl offer PPC management for Google AdWords, Bing AdCenter paid search campaigns. PerfectCrawl offers PPC campaign management to enhance traffic, website and enhance conversion rate to ultimately make sure our clients are gaining the maximum revenue. PPC services are depending on associates that offer your traffic with purchasing opportunity. The affiliated websites get the financial benefit to those to offer purchase point click through to the providers. Additionally, if there are no generated sales through affiliates, the source does not owe any amount. Because of great competition, it is imperative to go for an honest, trusted, and robust PPC organization. An efficient company like us ensures you get the best returns for your valuable money spent on advertising. PPC Advertising management (PPC) is a search engine marketing technique; we offer you PPC services in Faridabad that needs you to pay a fee whenever someone clicks to your site from an ad you've placed in searching engine's results. The more you agree to Pay Per Click (or bid) for a specific keyword and the more efficient your ad, the higher your site will rank in the paid search results. We make sure that you get the smooth web traffic with Pay Per Click services that is one of the models depending on advertising marketing, where promoters pay for valid clicks their ads depending on focused keywords. At PerfectCrawl, you get assured PPC results that assurance great online presence while gaining huge web traffic and ROI. Our expert PPC management managers make sure quality support where experienced and professional representatives manage your online advertisement accounts as a part of online campaign management. As PPC Management, we guarantee 24/7 support where the user gets excellent online advertising assistance. To assure enhanced web marketing solution, we present an Expert campaign management consultation service for personalized organization needs. Our in-house team of industry experts studies your site and offer personalized methods to make sure unique organization services. PPC is one of the best ways to generate traffic instantly. All the SEO techniques which help in improving the ranking of your site on the organic search results may require a lot of effort and time. Sometimes it may take months to do that. So, one can opt for the PPC services and begin generating highly targeted traffic.